Attorney D. Conor Keys will present your rights regarding debt collection. 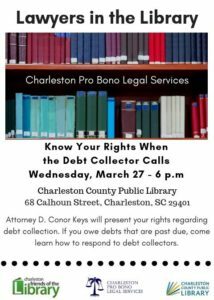 If you owe debts that are past due, come learn how to respond to debt collectors. 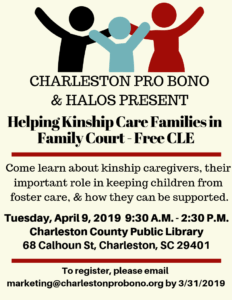 An attorney from CPBLS will cover state law regarding custody & kinship. Come learn the fundamentals of custody for non-parents. Learn how to preserve your assets for your family at this educational seminar.